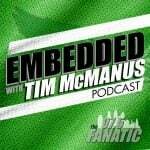 97.5 The Fanatic, the flagship station of the Sixers and Flyers…and the home of Philly’s best sportstalk about “The Birds”, has a new app! Listen to all of your favorite sports programs wherever you are. With the new 97.5 The Fanatic app, you can connect with us like never before. 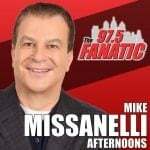 Just download and open your 97.5 The Fanatic app to listen to your favorite shows like Anthony Gargano & The Morning Guys, Mayes & Myrtetus and The Mike Missanelli Show. You decide when you want to listen, and when you want to browse by turning the live stream on or off within the app. We’ve had a Fanatic app for many years, but this is a brand new version with even more fun features, so download it and have some fun! Plus, you will need the app for your chance to win cash in “The 97.5 The Fanatic Big Green Giveaway 2”! 5 times each weekday this fall, you’ll have a chance to enter a “The Philly Special Keyword” on the app for your shot at $1,000! Download the new Fanatic app….now!